A few weeks ago the Ionic Academy was announced and the response was incredible. You really want a platform to learn and interact and that’s what the Ionic Academy will become – designed for the actual needs of the people. But there is a lot more that goes into such a launch. Almost every mobile app nowadays has a login, and using Ionic 2 and Angular it’s pretty easy to craft the UI and logic for a simple Login. 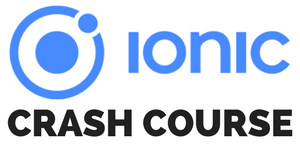 My post on simple login with Ionic 1 is one of the most viewed articles, so with the stable release of Ionic 3 already it’s time for an updated (and more stylish) version of that! “Hybrid apps are slow” was possible the first and most often heard argument I encountered when the discussion was about going hybrid instead of native. There was and sometimes still is an invisible barrier of ignorance.